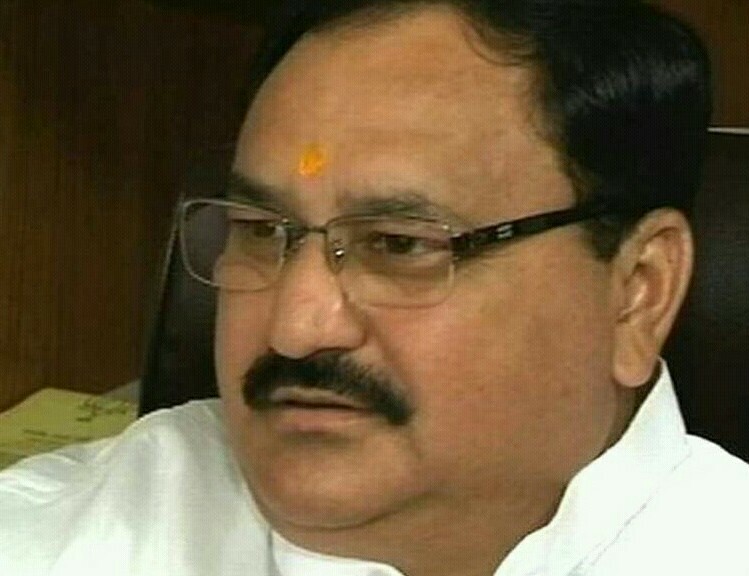 Central health minister JP Nadda's statement on himachal cm candidate race , talks have been started that who will be bjp cm candidate in Himachal ? Till now Prem Kumar Dhumal was only candidate for cm in Himachal . But now race has started with nadda in race. 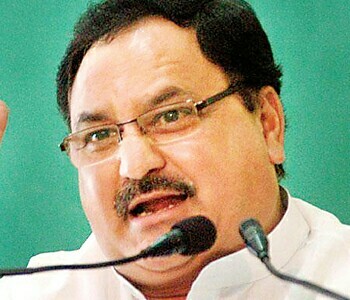 Nadda in working committee meeting said if party will want I am ready to be cm candidate. After nadda's statement on cm candidate issue, heating has been started inside state party. This is big question for state bjp and central BJP. It's getting difficult for party leaders to answer this question. When satpal satti state BJP president who is called close to dhumal was asked about cm candidate in Himachal. Satpal satti smartly answered this question and said high command will take final decision on this issue. This is out of his area. One side as a leader of opposition Dhumal was top contender for cm candidate but now nadda is in race also. When Dhumal was asked about cm candidate , he said next CM will be of bhartiya janta party. He was quite on JP nadda as BJP cm candidate. Dhumal said this time we will have cm. JP nadda is one of the top strategist in bhartiya janta party. He had worked as party election head in many states. He was in race of BJP national president with amit shah. In recent some years he have become one of top leader of bhartiya janta party. Jp nadda is very calm and mature leader , he don't like controversies that is why he is never in controversies with his statements. In party his status can be measured with this, at serious issues party always consult with him. 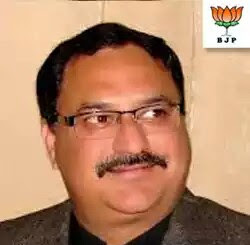 Jagat Prakash Nadda( JP nadda) was born in Patna ,Bihar. JP nadda joined politics at the time of JP movement. At the time of this movement he helped JP narayan against prime minister of that time Indira Gandhi. After the movement he joined ABVP, youth wing of bhartiya janta party .He start participating in politics at the time when he was in Patna university. His father was vice chancellor in Patna University at that time. In year 1977 he became secretary in Patna university on the ticket of ABVP. After that he was on many position of ABVP. Later he joined hiamchal university for LLB. Nadda was equally good in sports also. He represented Bihar in swimming. He got married with Dr. Mallika Nadda , she was daughter of former loksabha member Jai shri benergee from Madhya Pradesh. Mallika Nadda is history professor in Himachal University. She was also member of ABVP, and national secretary from year 1988 to 1999. In year 1987 he formed Rashtriya sangharsh morcha against ruling party congress. In 1989 he became election head of Youth wing of BJP. At that time he was only of age 29. Three years later he was elected as president of bhartiya janta yuva morcha. He won three elections in Himachal legislative assembly and became three times minister in Himachal government. His main achievement as a environment minister was police stations of forest and tree plantations, he was focused for greenery . J P Nadda has visited many countries like costa rica, Greece, Canada, turkey, etc where he represented India. In year 2012 He was selected for Rajya Sabha and after that he got Helath Ministry in modi government. He is ready to become chief minister candidate in Himachal election 2017. He is really pride of Himachal. Hope Himachal will keep getting his services. Himachal bjp's three days working commitee meeting ended today. In Himachal one question is in every individual's mind and that is who will be cm candidate for cm in Himachal from BJP ? Central health minister JP nadda said something which starts trending in Himachal. 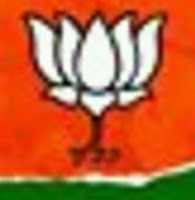 JP nadda said if party will say he is ready to fight in Himachal. He also added if party will want he is ready to become CM candidate in HP election 2017. JP nadda said he is a member of party. Whaever party will order he is ready for it. He said whaever party had asked him to do in past he never refused. Earlier I have left minister and joined parties working team. 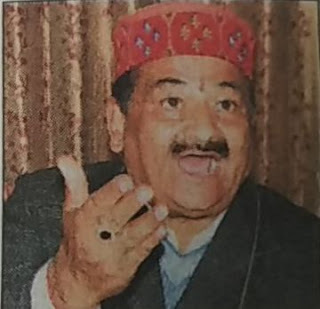 Central health minister is working hard for Himachal , and in this row he said a medical college with seats will be opened in Nahan.He asked Himachal government to take benifit of central government schemes. Who were present in meeting ? On thos occasion former MP dr mahesh sharma, bjym national president Anurag THAKUR, MP Virender kashyap, ramswarup sharma ,vimla kashyap and many others members were present. With this is expected that nadda may be cm candidate of bjo for coming 2017 elections, and he deserves to be at this position. On third day of Himachal state council meeting expected bjp cm candidate for hp election 2017 central health minister jagat prakash nadda said central government is giving funds to state government with both hands open. He said in Manali that Modi government's big achievement is good governance. JP nadda advised to BJP workers to focus on coming elections in 2017. He said it's right time to make state congress free. He also said 2017 is right time to make BJP government and make state congress free. He asked Himachal BJP workers to do hard work for coming elections, than only Himachal can be congress free. Nadda called manmohan government as corrupt government. He said congress government was just revolving around corruption but Modi government have good governance as big achievement. People of India have full trust on Modi government and Narendra Modi. He said Modi government saved 36000 crore rupees in gas subsidy, which serving 5 crore poor families in India. On this BJP spokesman and former minister Rajiv Bindal addressed on issue of election. He said as a biggest party, important to win and social work is our focus. 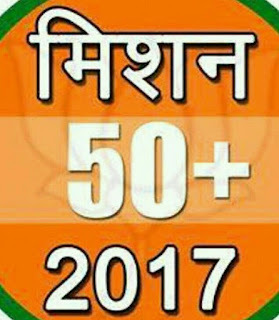 As elections are coming closer , Himachal BJP has started making strategies. In this segment state BJP working committee meeting has been started in Manali. In this meeting workers will be motivated for 2017 election in state. Himachal pradesh prabhari and bjp national secretary shrikant sharma will be present in this meeting. On the last day of meeting central health minister JP nadda will address BJP workers and will try to motivate them for coming elections. In working committee meeting Prem Kumar Dhumal , satpal satti will also be present. With this meeting race for cm candidate will also begin. There was only Dhumal for cm candidate as he is leader of opposition , but with time health minister nadda had increased his status quickly and he belongs to RSS and close to Modi and shah. It is expected that he can be cm candidate this time because central BJP is angry with fight of Dhumal and Virbhadra Singh. They want a face with clean image. 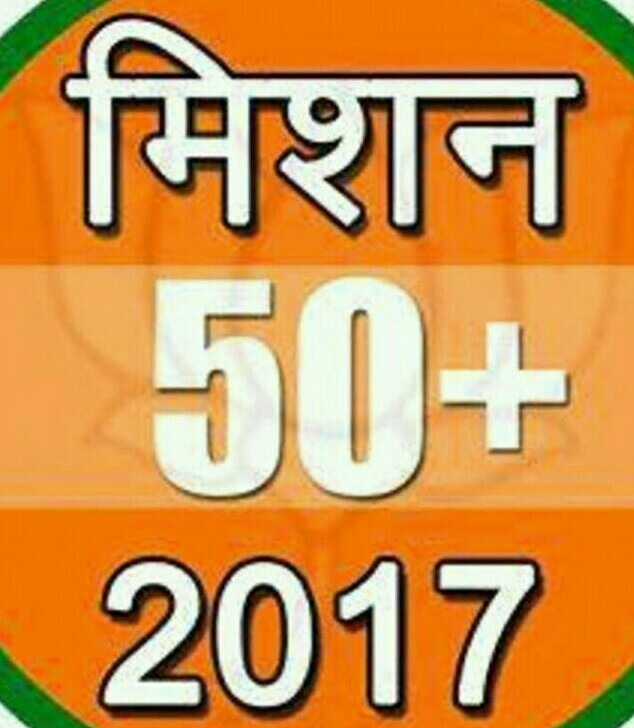 So what will happen in coming days it's interesting to see but one thing is sure BJP has started there plans and strategies for Himachal elections 2017.